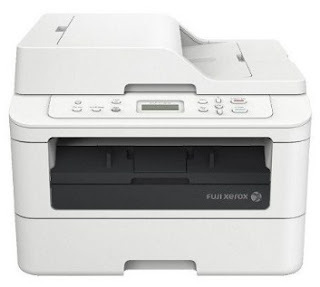 Fuji Xerox DocuPrint M225DW a multifunction laser printer with duplex printing capability, ie print / print on both sides of the paper automatically. With this duplex capability, you can save paper usage when compared with using a simplex type printer. Fuji Xerox DocuPrint M225 DW is equipped with a variety of special features such as the ability to print the Toner Save mode, print header of a document footer, watermark printing, manual booklet printing. Fuji Xerox Printers DocuPrint M225DW suitable for home use, office / business with a small scale to print a variety of documents, with a print speed of 26 ppm (A4). This printer can print hinggal resolution of 2400 x 600 dpi, with HQ1200 technology. In addition to print, the printer can be used also for scan / copy documents. Input tray of this printer can load up to 250 sheets of paper 80 grams and parts output tray holds up to 100 sheets of paper once the print.